The 2016 Holiday Season is fast approaching. 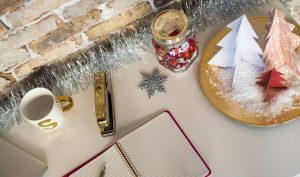 This is a time when the combination of out-of-office holiday parties, flu season, statutory holidays and accommodation of religious holidays can be a minefield for both employees and employers in the context of employment law. Thus in anticipation of the upcoming season, we have put together a list of our top 12 reminders for employees and employers. 1. Employers will need to make efforts to accommodate all employee’s requests for accommodation related to observing different holidays or religious events. 2. Employers are entitled to know if a religious belief is honestly held, in the event an employee asks for accommodation. 3. However, an employer cannot expect objective evidence, i.e. a confirmation letter from a religious leader. 4. It is important that participation in holiday activities remain voluntary. 5. If a vacation is scheduled during the holiday season, remember that if a vacation date falls on a statutory holiday, it does not count as a vacation day. 8. In addition to holiday season it is also flu season. It is important to note that employees are not entitled to sick pay, unless policies or a contract affords the employee the benefit. 9. Workplace policies are still in effect at out-of-office socials. 10. If an employer is requesting employees dress in holiday costumes, ensure that there is no discrimination on the basis of gender. Ms. Clause should be just as comfortable as Mr. Clause. 11. Before trying to score a date for or/at your work Christmas party, ensure all conduct is appropriate, respectful, consensual, and will not put you in any sort of conflict of interest with the employer. 12. As an employer, if serving alcohol at a social function, consider hosting at a restaurant or hire a company to serve the alcohol in order to limit liability with respect to over-serving. Have an enjoyable and merry holiday season! And if you run into any employment law issues, make sure to contact a Toronto Employment Lawyer!